If you’ve followed along, you know Max has always been very musical, since he was 2ish he has shown his love of music in various ways. When he turned 4 last year, he started piano lessons. 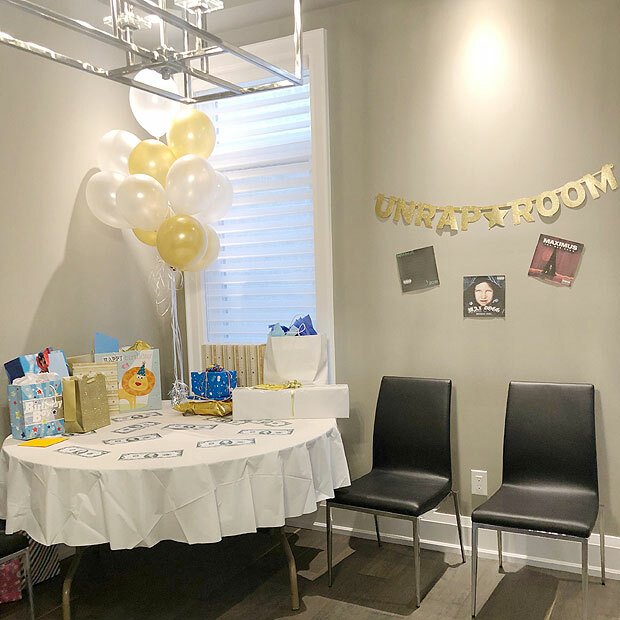 That manifested into his fourth birthday party – he asked for a piano party – what does that mean you ask? Check out my post about last year's party here. But I digress... when he first heard the piano opening of Still D.R.E – he was obsessed. He learned to play it on the piano and Dr. Dre lead to the discovery of Snoop, Eminem, Biggie, Tupac... Max went from Mozart and Beethoven to Michael Jackson to car rides filled with hip-hop and rap. He still listens to the earlier stuff but right now, it’s ghetto fabulous on the regular. 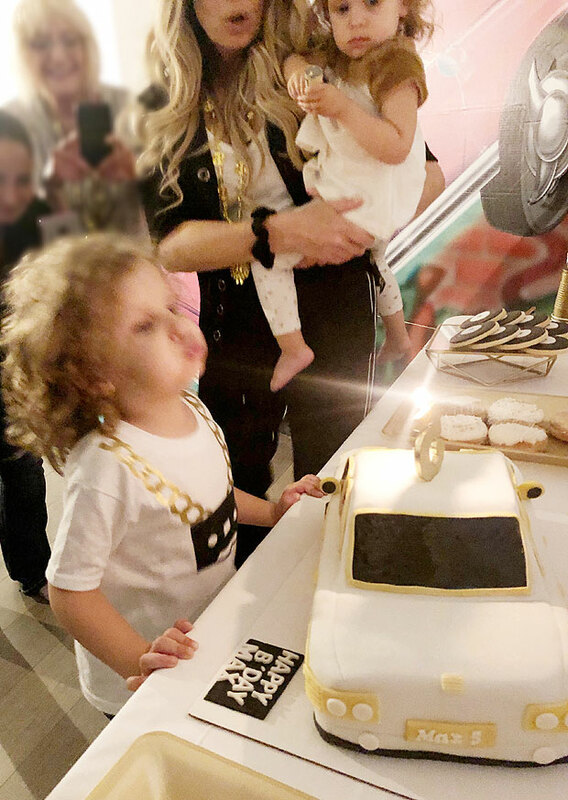 When it came time to pick the theme for Max’s 5th birthday – it was a pretty obvious choice that a hip-hop/rap-themed party was on the horizon – lowrider and all! One of the earliest components I work on once I’ve picked the theme is the cake. 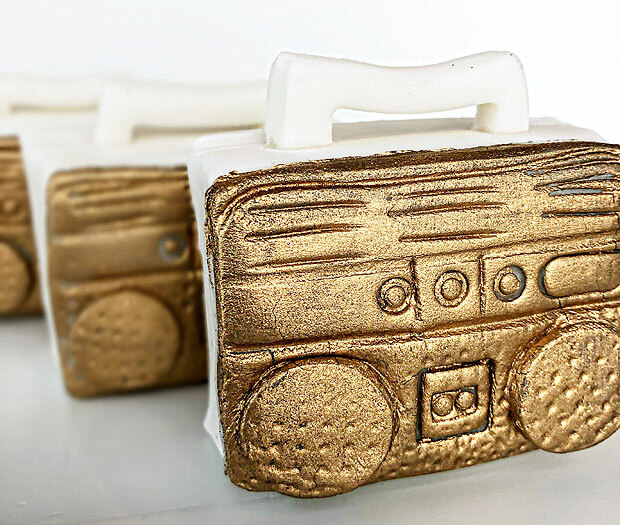 I shared my idea of the hip-hop themed party with my friend and cake artist Meeta and she offered to make Max’s cake. I told her I wanted a gold and white lowrider and left the rest to her. For obvious reasons, this ‘64 Impala became the centerpiece of my dessert table! 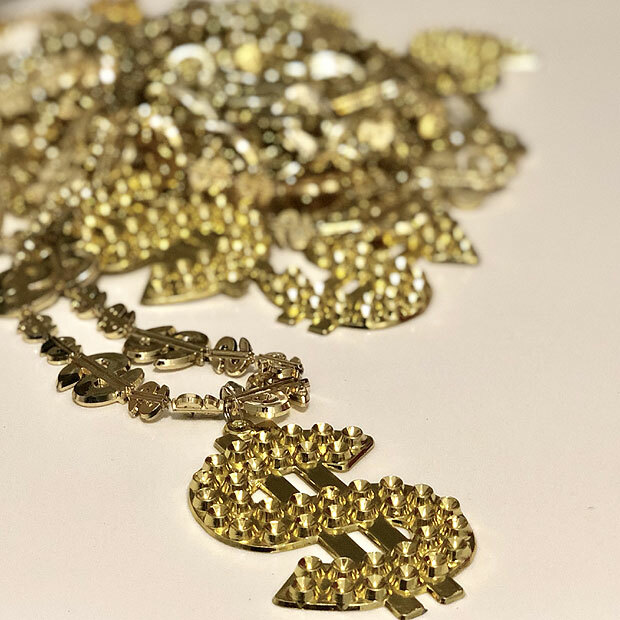 I was inspired by the bling and went with gold and coupled it with white for the color scheme to keep it feeling kind of elegant (as elegant as a five-year-old’s rap party can be haha). 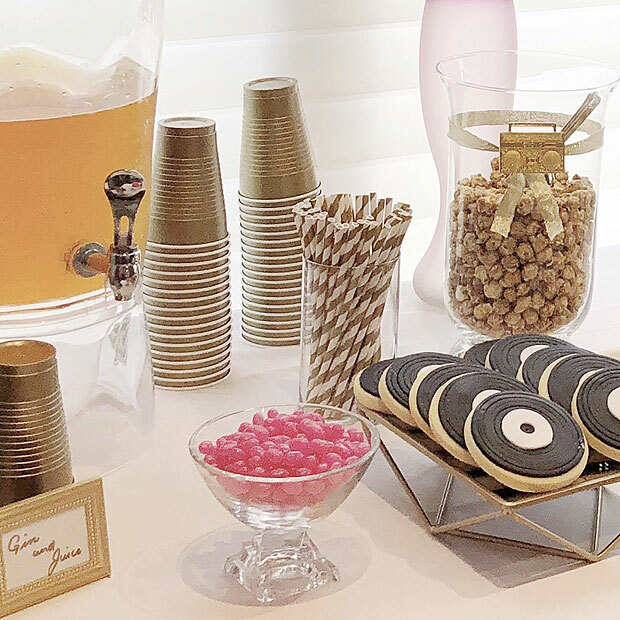 Of course that theme carried over to the sweets. 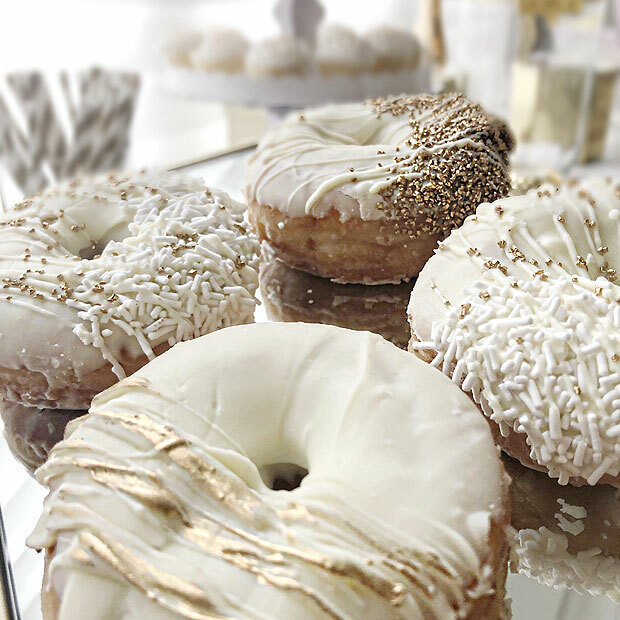 I think Artsy Baker did an excellent job capturing the gold and white and ‘elegant’ in these delicious donuts! 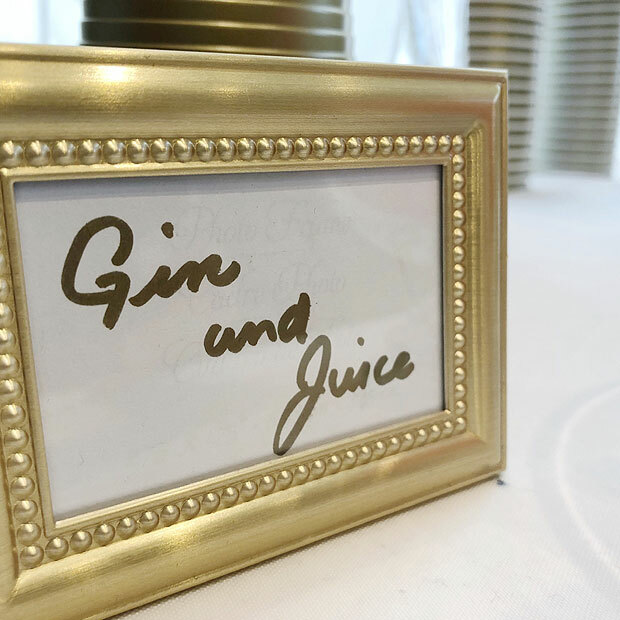 I sprinkled gold throughout the table with gold cups and gold/white straws for the apple juice – or should I say, ‘Gin and Juice’, I think Snoop would approve. 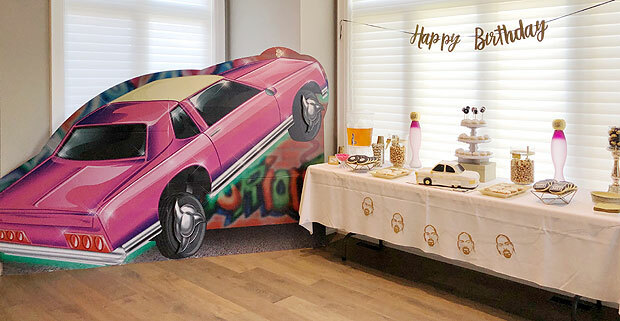 *I added a splash of pink to the table to play off of the pink lowrider. 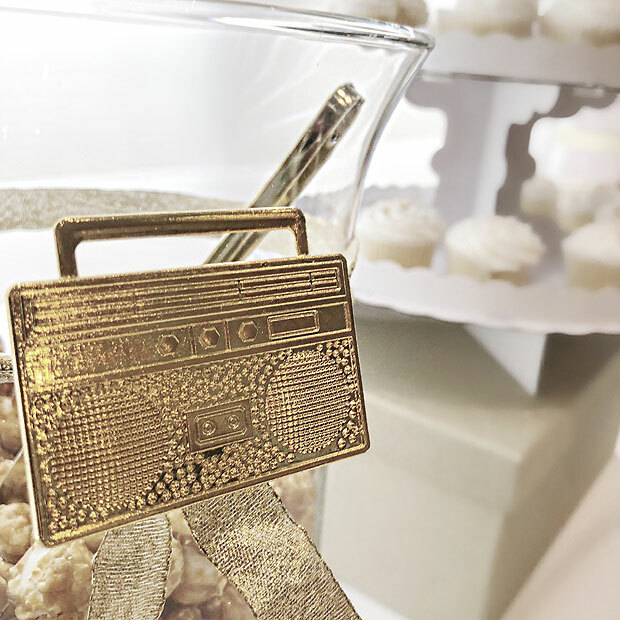 I like to incorporate things that are not intended for a dessert table – like how cute are these ghetto blaster rings that I added to the vases holding the caramel corn? 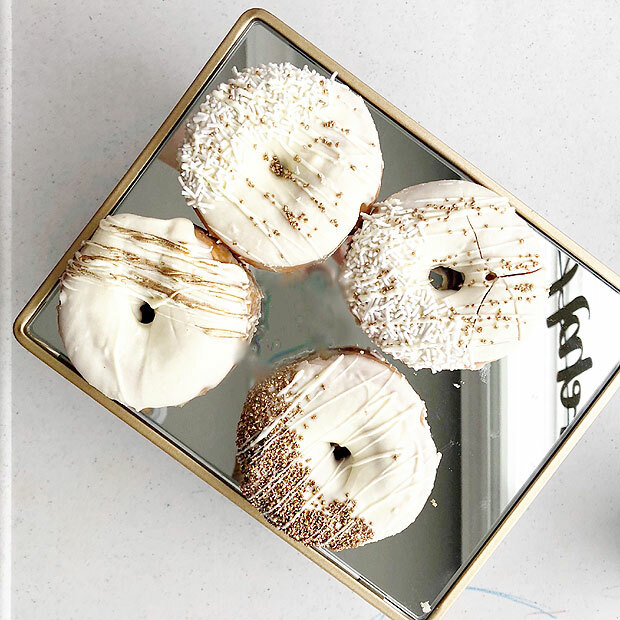 And these mirrored jewelry/perfume trays for the ghetto fabulous Artsy Baker donuts. 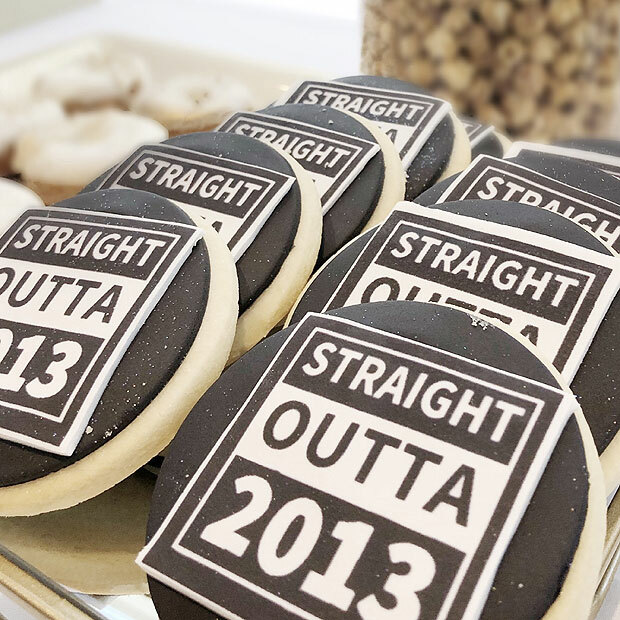 Speaking of Artsy Baker, she also made these ‘Straight Outta 2013’ cookies (I don’t have to explain that do I? A parody of Max’s birth year and NWA’s Straight Outta Compton, yah?). 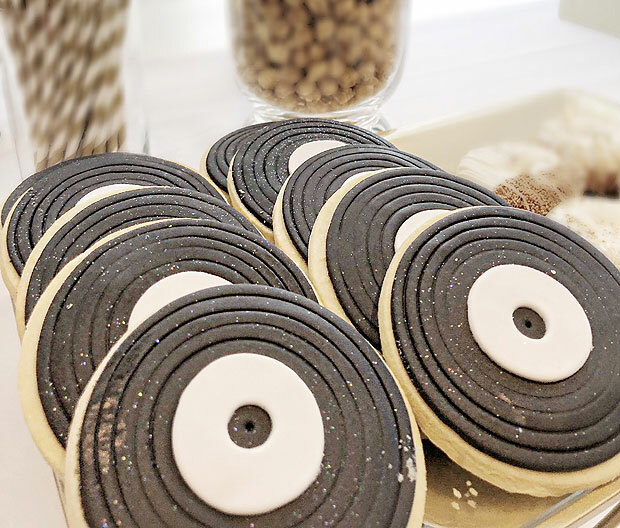 Plus these ‘record’ cookies, which I choose to play off of the gift Max asked for – a record player. 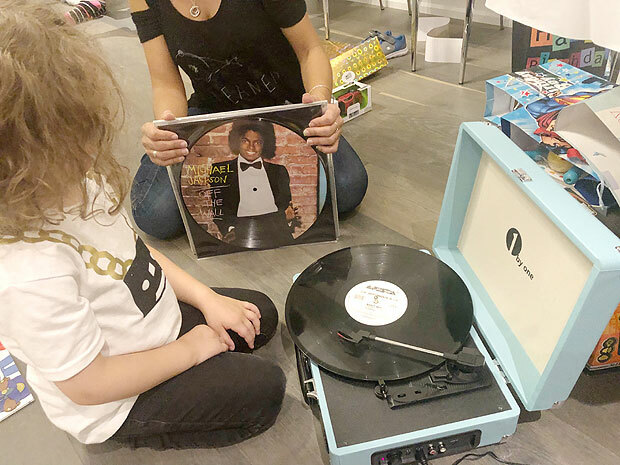 What 5 year old asks for a record player? Max! 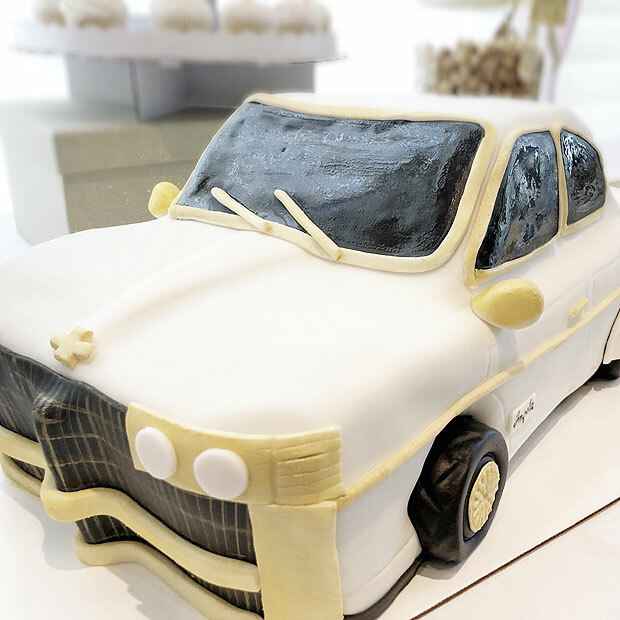 I’ve collaborated with Artsy Baker before for Max’s third birthday party and fourth birthday party, but she never ceases to amaze me! I posted a pic of those ghetto blaster rings and she saw that and she replicated that for my takeaway gifts which were Krispie treats. 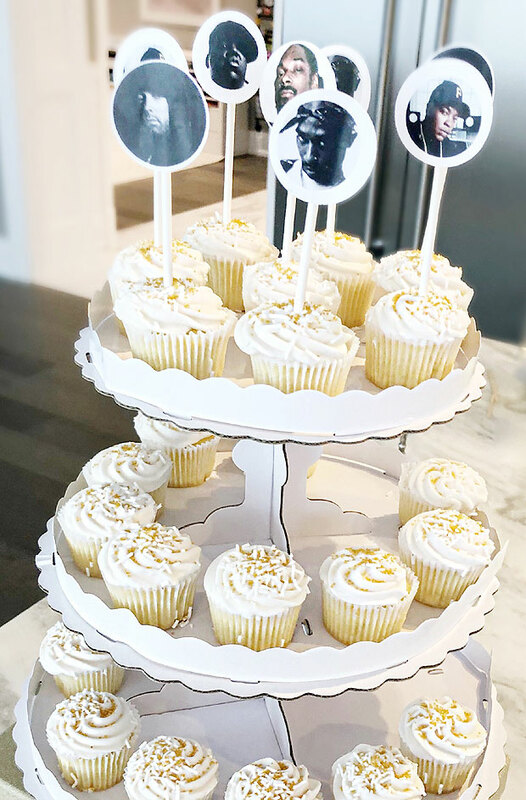 To add some height to the table I used a 3 tiered cupcake stand and added grocery store bought mini cupcakes that I added gold sprinkles to. To add a little oomph to them, I found Pinktastik on Etsy and I got her to make cupcake toppers of Max’s fav artists. I’m a little obsessed with Etsy, literally anything you can think of, you will find on Etsy. 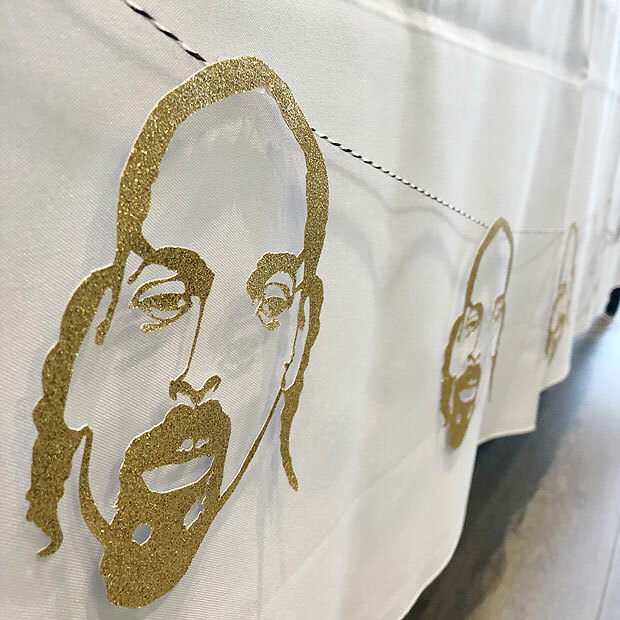 I found Simply Swig and I asked owner/artist Ava Mae if she could create a custom Snoop banner – and she totally came through! The perfect addition to the table, fo shizzle. 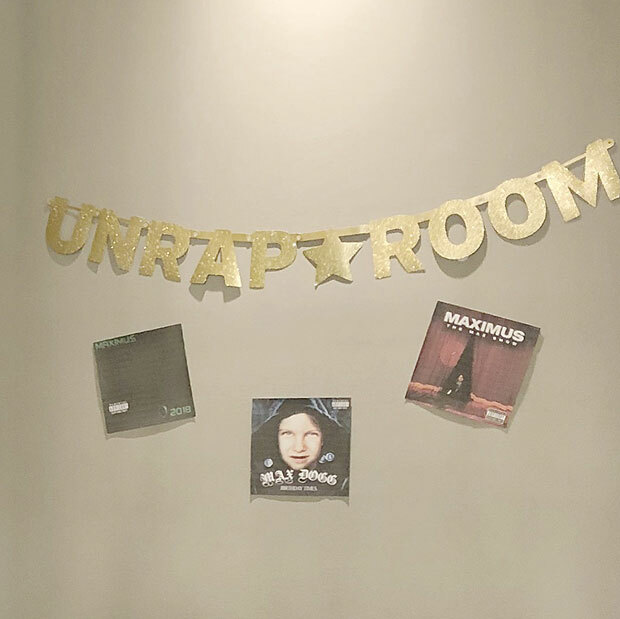 Where did Max unwrap his presents at his rap-themed party? Why in the ‘unRAP room’ of course (hehe). And if you look closely you will notice the awesome parody play of some of Max’s fav albums that Brian from my team created! Max freaked out when he saw these! Max greeted each guest with their very own gangsta necklace – it was fun to have everyone play along! That about RAPs up (sorry, I had to!) the details from Max’s 5th birthday party. 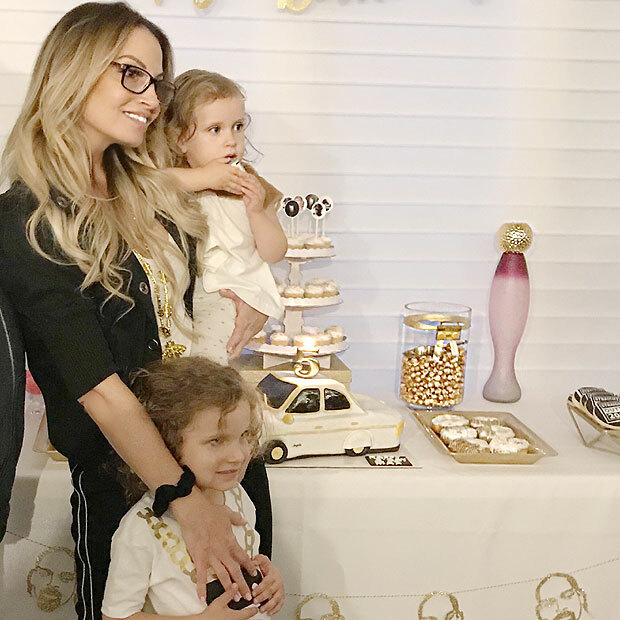 Max loved every part of the party and that’s why as a mama, you do all this! So far we’ve just had family parties, but starting next year Max will have a ‘friends’ party. I’m kind of hoping he’s still into the rap seeing as I have a 6-foot lowrider in my basement! Guess we’ll see... ’til next year party peeps!